Forj Lofts in Rehoboth feature a Scandinavian inspired minimalistic type of design. 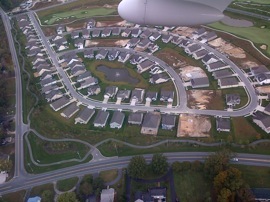 They reside on the coast of the Atlantic Ocean in Delaware and the buildings have been engineered specifically for the strong and extreme winds that often occur in this region. The term “Forj” used in their name is a type of play on words for an Iron Forge. This is due to the fact that there is nothing but steel that is used for the building components, providing the superior support that makes the building more appealing than other options in the area. The Forj Lofts in Rehoboth offer residents a number of comfortable living features, as well as state of the art technology. Each unit features integrated security systems, T1 internet access as well as other comforts such as sundecks on the roof. They are located in a convenient location, requiring only a five to 10 minute walk or bike ride to the beach. You can either take the conveniently located back road to the beach, or take the boardwalk. Once you arrive on site, you don’t have to worry about getting into traffic to go shopping, to eat out or to any of the fun night-life events that are nearby. 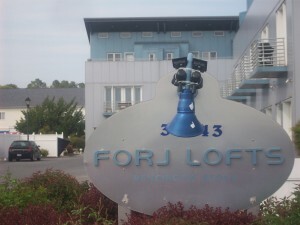 The Forj Lofts in Rehoboth feature three stories of residential lofts, offering three or four bedroom floor plans. Each of the unit provides 2,400 square feet of space and offer all guests access to the entertainment deck on the third floor. Originally built in 2003, these lofts offer all the modern comforts and exciting technology that are available, with a steel structure that exceeds the standards of the other lofts in the area. If you are seeking quality, comfort and modern appeal, this is the residence you want to consider.